Why are some organizations, such as Google, Toyota and Xerox, so successful, while others seem destined to fail? The answer lies in how they manage change. New technology and regulations, blurred organizational boundaries, and an increasingly globalized workforce present opportunities and threats that managers must address if organizations are to survive and prosper. 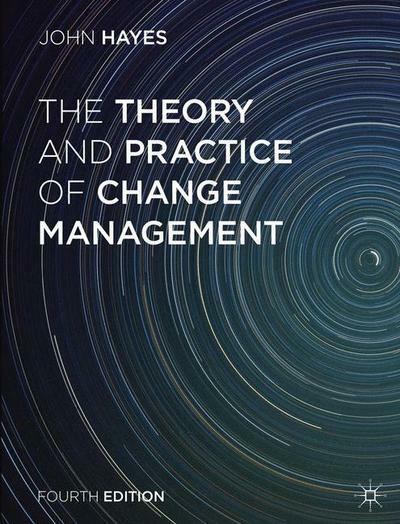 John Hayes’ best-selling textbook provides you with the skills you will need as a future manager or leader to identify the necessity for change and ensure its successful implementation. Its hands-on approach includes a number of ‘change tools’ that you can apply to various change scenarios, exercises which invite you to reflect on your experience of change in everyday life, and a host of case studies and examples based on real-life organizations worldwide. These practical features are underpinned by a theoretical framework presenting change as a flexible yet controlled sequence of activities. – More international case studies and examples than ever. 30. Pulling it All Together: A Case Study.